With Superbowl Sunday quickly approaching, I am willing to bet many of you are either hosting parties or going to them. If you are hosting (or required to bring a food dish), I've got an event for you to attend which will make you the MVP of the big day. Tom Brady Who? 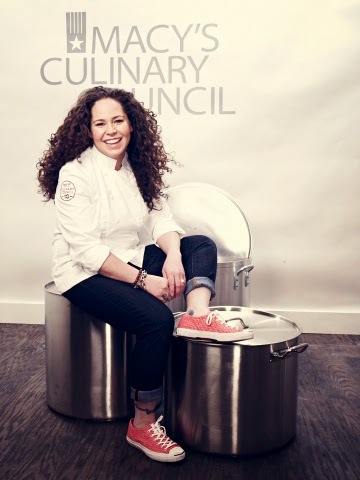 Macy's Culinary Council, led by superstar Chef Stephanie Izard, are putting on a FREE cooking demo on January 28th, at Macy's on State. Stephanie will not only share her favorite tailgating munchies, but she will show you how to prepare them and impress all your friends. James Beard "Best Chef: Great Lakes"
Food & Wine"Best New Chef,"
1st women to win Top Chef (Season 4, 2008) and "Fan Favorite"
F &W asks ADVANTAGE TO WINNING TOP CHEF SEASON 4 ? 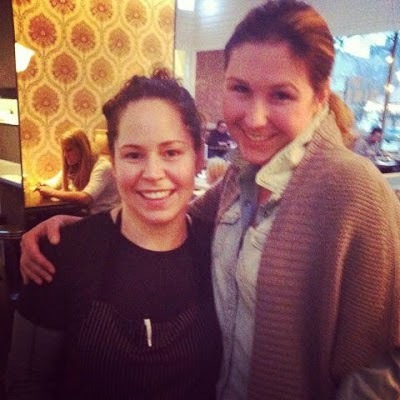 Executive Chef/Partner of two Chicago restaurants, Girl & the Goat and Little Goat. A 2011 James Beard "Best New Restaurant" nominee. In addition to getting a close up look of Stephanie preparing easy and delicious game day dishes, there will be plenty of food samples to taste as well. After the demo, everyone is invited to come explore the Macy's Home and Kitchen department on the lower level. With any purchase of $35 or more, you will receive a $10 gift card in addition to a copy of Stephanie's cookbook Girl in the Kitchen, which she will autograph for you. Seat: RSVP by calling 1-800-329-8667. Seating is limited on a first come first serve basis, and it will sell out. Stephanie and I hope to see you there! To learn more about Macy's Culinary Council and upcoming events, visit macys.com/culinarycouncil. I am a part of Everywhere Society and this post has been compensated by them. All views and opinions definitely come from my food loving self, and any instances of greed are totally mine too.